Feel your toes in the sand at the beach as Turtle swims nearby. 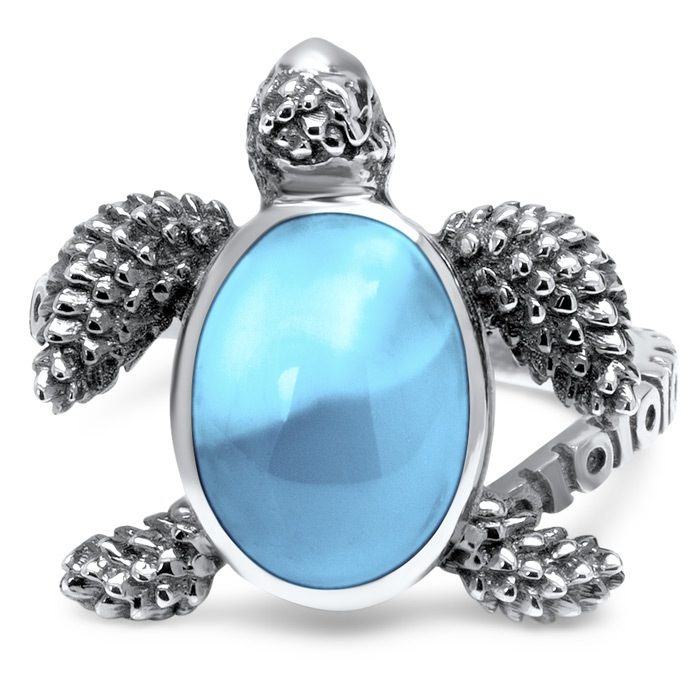 Oxidized silver detailing on legs and head, sporting a lovely larimar gemstone on his back, our Turtle ring puts you right there. Sun in your eyes and ocean for as far as you can see. Be there! Product Details: 8x11mm larimar gemstone and sterling silver.